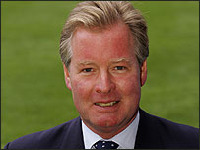 David Sheepshanks 5-3-08 "thank you for your email dated 18 February regarding the Broomhill Pool Trust. Ipswich Town Football Club are delighted to endorse your efforts and would like to take this opportunity to congratulate the Trust on all the hard work and effective campaigning that it has been carrying out over the past 6 years. Well done on achieving a £1,000,000 guarantee from Ipswich Borough Council and good luck winning the remaining vital funding from the Heritage Lottery Fund"